Adam Woolley was born and raised in southern California, acting in high school plays and musicals, then studying film and video in college working briefly as a video editor. 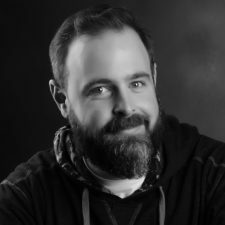 He has since found his passion as a voice over artist and has been working at the craft since early 2017 dabbling in video games, animations, and commercials. He now resides in Boise, Idaho as a retail manager. His passions are cartoons, movies, and his favorite ride at Disneyland, The Haunted Mansion.